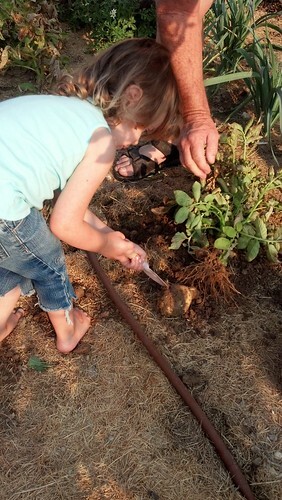 A few days ago David (my father in law) decided to dig up one of the potato plants to see how it was coming along because the top was starting to die. The potatoes were perfect. I couldn’t believe something so perfect could grow from a cut up piece of sprouting potato that I almost threw away. 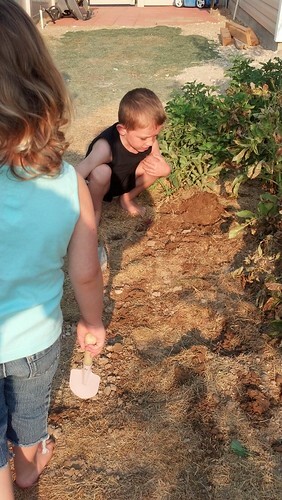 Because Waldo’s sister Christy and her son Jude were coming we didn’t get a chance to dig up any more potatoes till today. Jude totally helped and the kids (along with Grandpa) had a lot of fun. 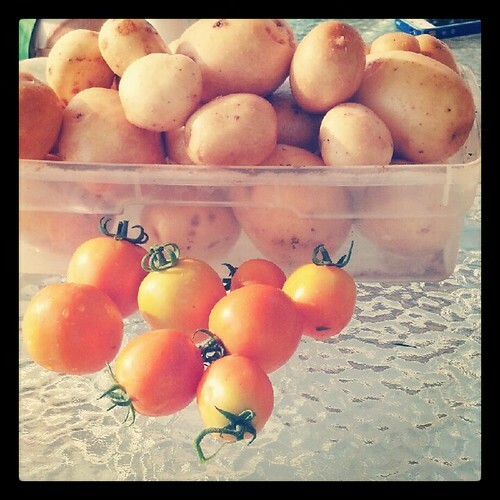 We dug up all of the white potatoes and picked a few orange tomatoes. 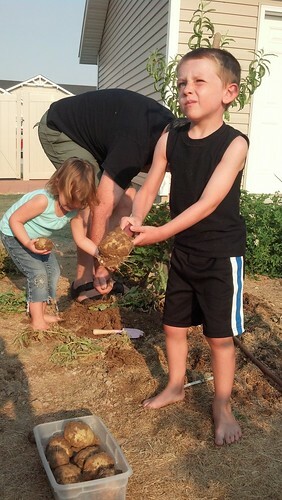 In a week or two we’ll have a bunch of russet potatoes too. This entry was posted in Food, Friends and family, Fun, Lily, Phone pictures and tagged food, Friends and family, Fun, Lil, Phone picts. « Nautilus, cuttlefish, and puffins. Oh my.